Dr. Szeftel is a Harvard trained Physician who is an Associate Clinical Professor at UCLA. His interest in cosmetic medicine developed from a twenty year experience in laser surgery. Dr Szeftel has performed laser surgeries in the vocal cord area and within the bronchial tubes. He converted this experience and unique insight in laser tissue interactions to skin and cosmetic uses. Dr Szeftel has published in the field of laser surgery and lectured in laser physics and laser safety. He has experience with many laser systems including Nd: YAG and CO2 which are commonly used in cosmetic medicine. After extensive physician supervised training in both the USA and Canada. 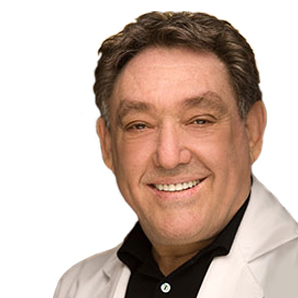 Dr Szeftel extended his practice to medical and cosmetic Botox treatments and advanced application of dermal fillers. This includes the revolutionary new “Ferning Technique” developed in Europe and Canada which gives effective and natural results for wrinkles, folds and lip enhancement. Dr Szeftel is board Certified in Internal Medicine, Allergy, Immunology and Pulmonary Medicine. He is a member of the American Society of Laser Medicine and Surgery, American Academy of Aesthetic Medicine and International Association for Physician’s in Aesthetic Medicine.